For cleaning specific, difficult to reach areas: crowns, bridgework, and between crowded teeth. 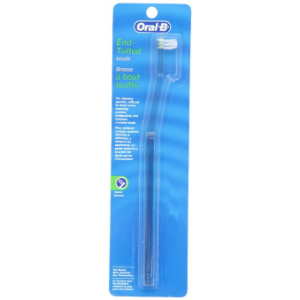 Clinically proven to remove more plaque, when used in conjunction with a regular toothbrush. Brushing alone will not remove all the plaque from hard to reach areas. Use an End-Tufted Toothbrush for cleaning: between teeth, along the gumline, around crowns and bridgework, and crowded or impacted teeth. 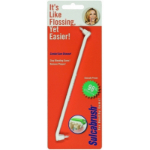 End-rounded, extra soft bristles for gentle plaque removal. Slim handle with thumb grip for greater control. People who wear braces should change their toothbrushes frequently because braces break down and fracture bristles and the toothbrushes lose their effectiveness. © Copyright 2019 ToothbrushExpress.com. All rights reserved.